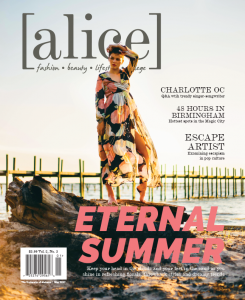 Alice is a college woman’s lifestyle and fashion magazine that debuted in November 2015. There are more than 100 women on the staff that produces fashion, entertainment, beauty, lifestyle, food, and heath and fitness content. Copies of the magazine are for sale online in the OSM store and in the UA SUPe Store locations. Alice is now available in Books-A-Million stores in seven states: Alabama, Florida, Georgia, North Carolina, South Carolina,Tennessee, and Mississippi.